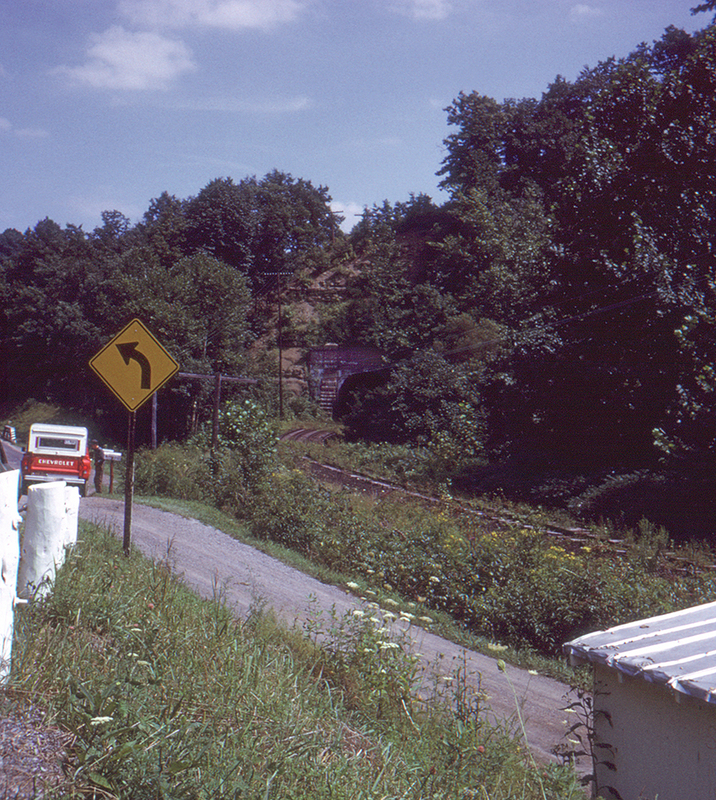 A look at the line (now abandoned) through Cameron, West Virginia. This tunnel is probably the Marshall Tunnel, northeast of Hundred, south of Cameron. The road in the foreground would be U.S. Route 250. This page posted 9/1/2017; revised 9/1/2018. Text and photo ©2017 Lamont Downs.